Rick specializes in photographing people in important moments for both commercial and editorial clients, at home and abroad. 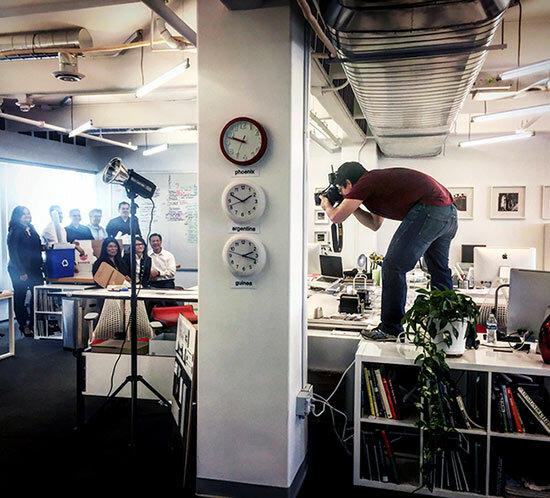 Photographer going to any lengths for the shot. From documenting the important health care and education work of Catholic Relief Services in Africa to providing content for the Phoenix Community Alliance Discovery Triangle materials, covering life and news for the Corbis agency, to documenting a CT scan suite for a healthcare company, his work is utilized to make an impression and to accomplish a wide variety of communicative goals. During Rick’s 29 years of professional experience, he has covered general assignments for publications from local to national and PR/marketing firms have capitalized on this experience to cover their client’s activities for media play. He spent a year working in Uganda working with publications and NGO’s documenting news and life in East Africa. Among the most significant, Rick worked with two other photojournalists to document the war in Northern Uganda and its effect on the people for an exhibition funded by the US Embassy in Kampala. The exhibition later found venues in a number of events in the US including several in Arizona. 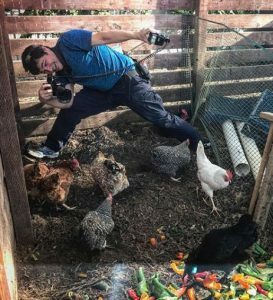 Photographer at work, documenting free range Arizona chickens. We are the sum of our varied experiences and the result of being far flung has composed a unique and personal style to each image that is created for storytelling and commercial communications.